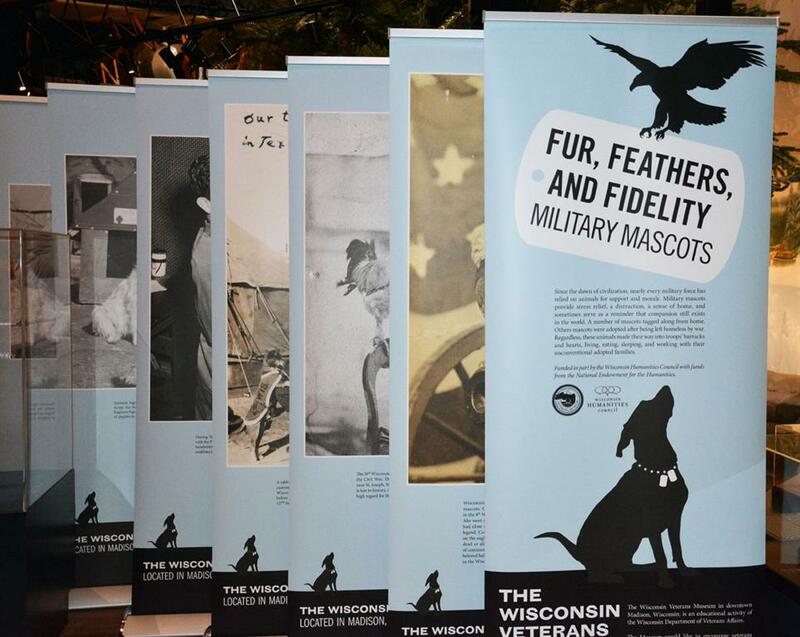 The Wisconsin Veterans Museum’s Marching Across the State, Fur, Feathers and Fidelity: Military Mascots traveling exhibit features Mascots and their important service in the military. 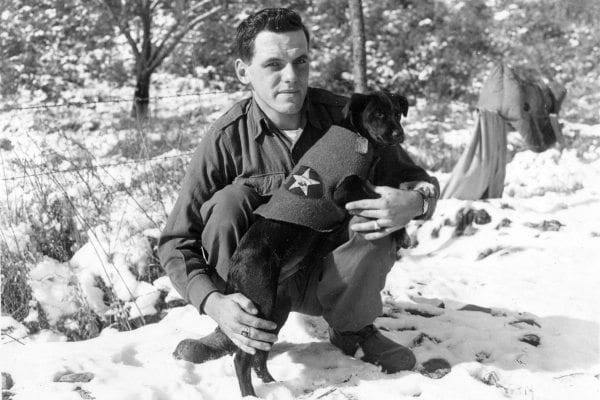 Whether a lion, a monkey, or a dog, military mascots are a source of pride and morale for troops. 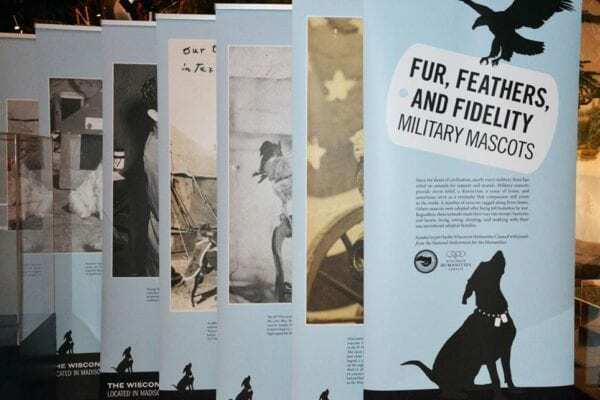 This exhibit, presents a variety of mascots dating back to the Civil War, shining a light on the human side of military service and engaging animal lovers of all ages. The traveling exhibit consists of indoor, easy-to-assemble, pop-up banners available to local libraries, historic societies, schools and community spaces throughout the state. There is no cost to reserve and host the exhibit, only shipping costs apply. For more information or to inquire about this traveling exhibit availability call (608) 261-0541 or email TravelingExhibits@dva.wisconsin.gov. Marching Across the State is funded in part by a grant from the Wisconsin Humanities Council, with funds from the National Endowment for the Humanities.